Lisa loves John: Moving Day!! Well y'all - John and I are packing up and shipping out to Texas today! And although we are both super excited to be settling, there is a lot that will be missed about Arizona. So, I've rounded up a list of the 5 things that I will miss most about Arizona. Beyond missing all of the obvious things when moving (church, friends, co-workers, etc. ), there are a slew of other things that are specific to the state that we will be sad to leave behind. Although metro Phoenix is the desert, we have the awesome benefit of being so close to Flagstaff, which has a snowy winter and high elevation mountains. Living in Arizona really is the best of both worlds because you have access to snow when you want it, but an otherwise warm winter. I will certainly miss those snowy mountains being a hop, skip, and a jump away. Sometimes it is the little routines that make life so lovely... and my daily routine consists of an AJ's tea every day at lunch. AJ's is a grocery store (similar to Whole Foods) that sells massively large unsweetened iced teas for only $1.50 (larger than the Starbucks trenta!). I get one every day, and I will cry many tears when I am no longer able to enjoy my obnoxiously large iced teas. 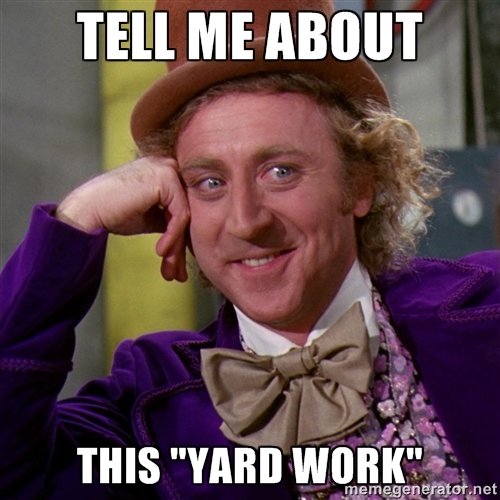 Don't get me wrong, I am so dang excited to be a home owner, but along with that comes yard work... something that I have never had to worry about while living in my condo. Although it is a very, very (very) worthy tradeoff, I'm not looking forward to having to buy a lawn mower... it is about as exciting as paying for an oil change (which is not exciting at all!). There is something that I absolutely love about citrus... I love to eat it, I love to drink it, I love to put it in a bowl on my table - I just love everything about it! 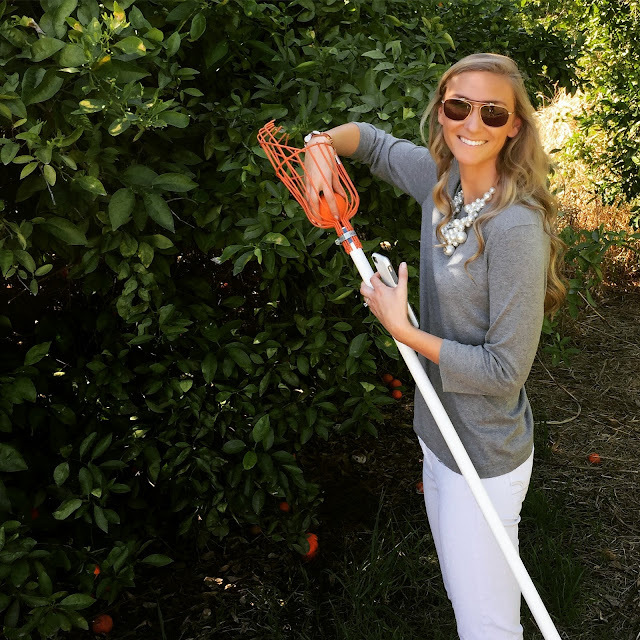 And although you can buy citrus at the grocery store, there is something just way more fun about picking it yourself! So needless to say, I will very much miss all of the Arizona citrus trees. I'm not going to lie, Arizona is hot... like, really hot. But, do you ever wake up in the morning and not want to dry your hair after you shower? If so, wet hair is not a concern in Arizona, because all you have to do is go stand outside in the heat for 5 minutes and your hair will dry perfectly. It's kind of amazing (especially since I have long hair!). Moving to humidity will certainly be an adjustment! Hahah the humidity is no joke! But at least you won't have to experience it for a while! Good luck and safe travels!! Can't wait to see all of the adventures that are in store for you in Texas! Good luck with the move!! So true about yard work - we were in shock last winter when we got our first big snow and realized we didn't even own a snow shovel and they were sold out everywhere!! At least you won't have to worry about that problem :) Safe travels! Good luck with the move, pretty lady. I've heard amazing things about living in AZ and the dry heat is something I would love to experience. Have a great Friday. Yea the humidity is kind of a downer, buuuuuuttttt you're a Southern gal now! :-) oh and there are always lawn guys to take care of your yard for ya! Can't wait to see how this next adventure plays out for yall!!! So excited!!! Safe travels & big hugs!!! Happy moving day! Can't wait to see your home! Awww!! So bittersweet for both of you, but you will have such a wonderful time in your new home! Happy moving day!! Hope all goes smoothly and I can't wait to see your new home! Yard work has not been my jam lately. My front and back yards are super small but somehow I still can't manage! Hope moving weekend went well!! Yard work has been the biggest transition for us but it's hard to complain about since we never had a yard or outside space of our own. Hope you're loving the new house! I am already missing those runs to AJ's! 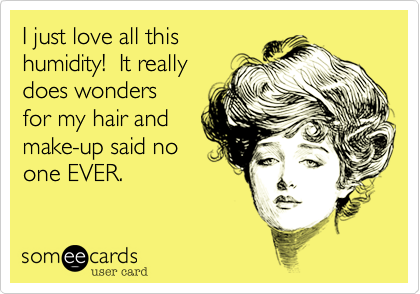 Oh humidity...we all know the joy that it does NOT bring. Ha! Arizona is beautiful, I totally understand all of these things you'll miss. But as a Texas resident, I've got to say that Texas is pretty awesome! I'm new to your blog - where are you moving?